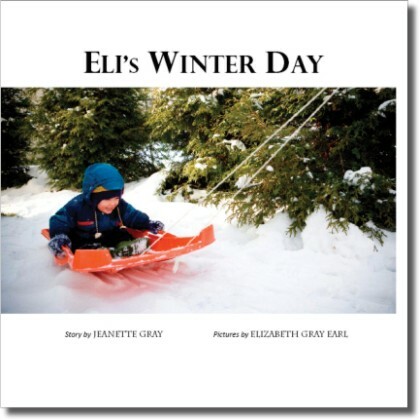 Eli’s Winter Day shows a young boy experiencing winter for the first time, all senses engaged. He helps his grandpa feed the birds, plays in the snow with his family, and warms up with hot chocolate before ending the day with an evening walk by the river. Softcover, 8.5″ x 8.5″. 26 pages. ISBN: 978-0-9844972-2-5.